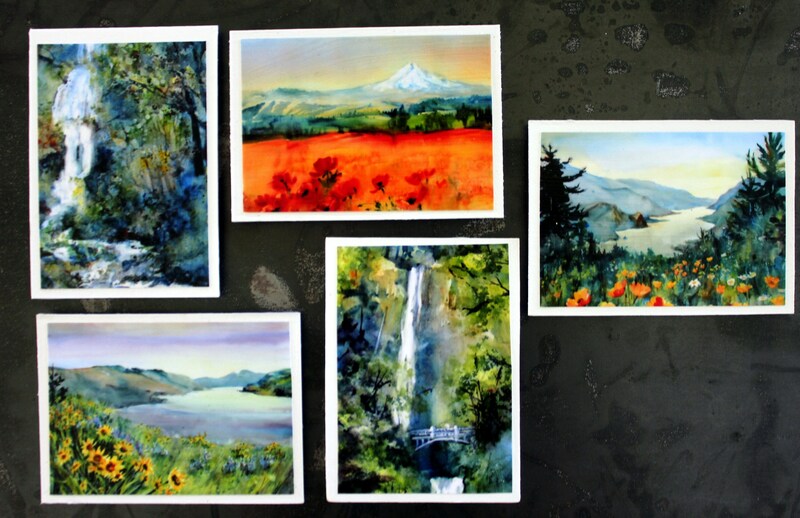 This is a set of five magnets of the Columbia River Gorge National Scenic Area. This set includes Mt. Hood from the east gorge; the Columbia River looking west from Mosier area; the Columbia Gorge looking west from Hood River; Wahkeena Falls; and Multnomah Falls. 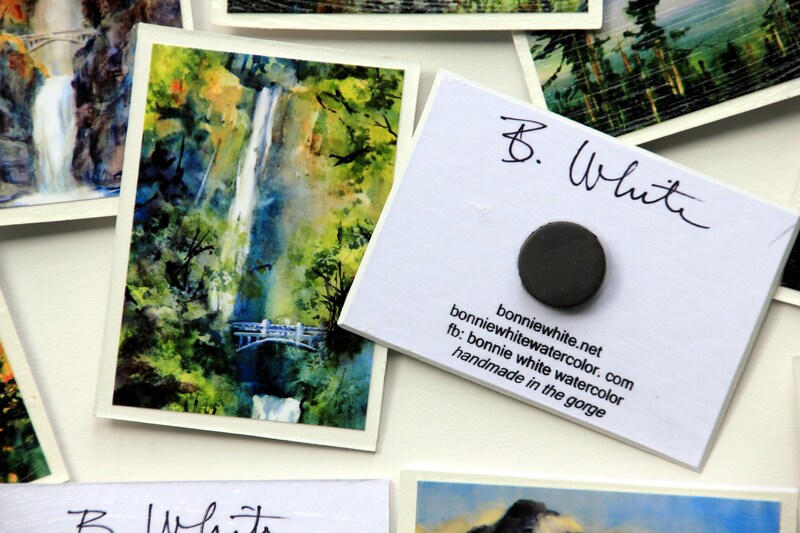 These magnets are handmade by me from prints of my original watercolor paintings. They are made from scraps left over from my larger mats and are signed on the back. 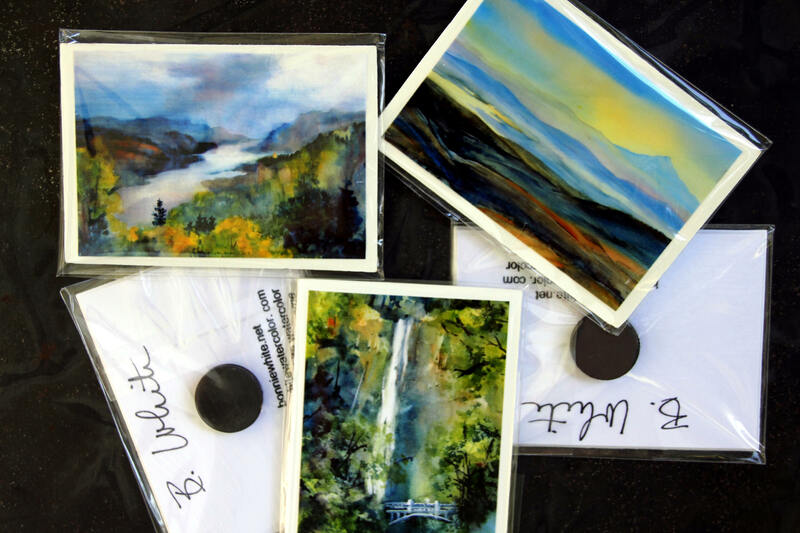 They come individually wrapped and can be separated and gifted individually.